Take in the dramatic scenery of northern Arizona from a bird’s eye view by riding Snowbowl’s scenic chairlift to the top of an extinct volcano at 11,500 feet (3,500 m). From the top, enjoy glimpses of the Grand Canyon, panoramic scenery of the Red Rocks in Sedona, and the impressive volcanic field around Flagstaff. The chairlift ride is 25 minutes each way, offering great opportunities for photography, wildlife observation, or just enjoying the peaceful atmosphere of the San Francisco Peaks. Snowbowl’s new summer activities allow you to choose your own alpine adventure! Our summer offerings are guaranteed to make your vacation full of fun, lasting memories and a whole lot of laughter. Add our summer activities to your scenic chairlift rides at a discounted $10 rate. When lunchtime rolls around, make your way back to the base area for a delicious homestyle meal! A free disc golf course and many hiking trails are available at the base of the chairlift and around the peaks, as well. And as summer changes into fall, there is no better place to see the golden aspens. Snowbowl remains open through fall colors in mid-October. Mission To enable all young people, especially those who need us most, to reach their full potential as productive, caring, responsible citizens. Vision Provide a world-class Club Experience that assures success is within reach of every young person who enters our doors, with all members on track to graduate from high school with a plan for the future, demonstrating good character and citizenship, and living a healthy lifestyle. Bored? You won’t be after a trip to Cabin Fever, a multi-level entertainment complex whose games and activities offer the cure for all types of ennui. 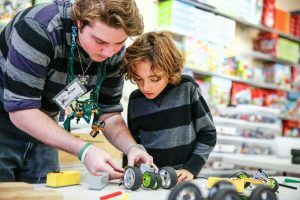 Here, kids of all ages can release pent-up energy through tactical games of laser tag, romps around cushy inflatables, or scrambles up the indoor rock wall. While youngsters play, parents can hang out at the onsite Summit Cafe, where cool drinks and light bites await. Read on to learn more about Cabin Fever’s entertaining options: Laser tag: Set against a backdrop of glow-in-the-dark urban warfare, rounds of laser tag challenge players to navigate a 3,000-square-foot arena in pursuit of victory. Inflatables: Slides, obstacle course, and indoor sports dome with pugil sticks, let kids bounce around without a care. Indoor Turf Field Arcade Indoor climbing: Featuring adjustable hand and foot holds, this traverse simulates the thrills of scaling an actual cliff – if you get tired just jump onto the 8 inch mat below. 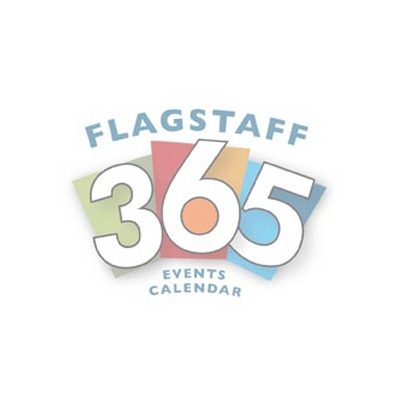 The City of Flagstaff’s Parks and Recreation Department is your community connection for swimming lessons, leisure classes, programs, entertainment, and special events. Flagstaff Cohousing is an intentional community forming in Flagstaff whose vision is to create a community that nourishes body and soul and celebrates its members’ diversities and life experiences. We embrace living sustainably on the earth, creating a beautiful, joyful and peaceful place to live, continuing to grow, and responsibly honoring our commitment to one another. We are committed to establishing a workable balance between having private lives, doing our share for our community and reaching out to the wider community. 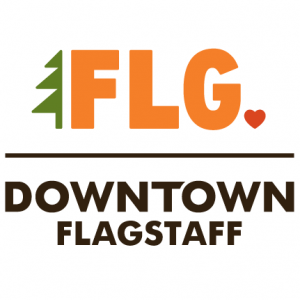 The Flagstaff Downtown Business Alliance (FDBA) is dedicated to the preservation and promotion of the historic downtown as the heart of our community. We strive to encourage sustainable economic growth while respecting the spirit of our historic past. We represent our members through public and political advocacy with the goal of remaining the number one tourist destination in the City, and a place where locals gather in a clean, safe, and entertaining environment. The Flagstaff Education Association is a voice for FUSD educators striving to create the best learning conditions for our students and the best working conditions for the professionals who teach them. We are the largest organized labor group in northern Arizona and proud to serve our community. The Grand Canyon Wolf Recovery Project is dedicated to bringing back wolves to help restore ecological health in the Grand Canyon region. 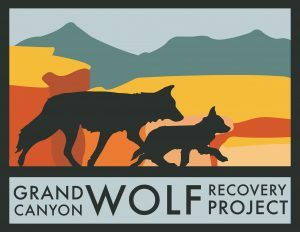 The Grand Canyon Wolf Recovery Project emerged in 2004 from the combined efforts of conservation organizations committed to wolf recovery in the Grand Canyon region. Today, we are a non-profit organization partnering with other conservation groups to support the return of wolves. Our goals are to work with leaders in the Grand Canyon National Park, local land management agencies, and the public to lead the way for the return of the Mexican gray wolf to suitable habitat throughout its historic range. We envision a thriving and growing population of wild wolves roaming freely and safely across the regionʼs healthy landscape. The Hopi Tribe Economic Development Corporation (HTEDC) Arts and Education Association was founded in June 2017 by the HTEDC Board of Directors in Flagstaff, Arizona, to enable the Annual Hopi Arts and Cultural Festival to sustain its efforts through larger donations and grant funds. A three-member Board of Directors was established. Nonprofit 501(c)(3) status was attained in November 2017. In April 2018, the Festival Committee was formed, to enact polices that will guide the event. In 2010, when the United States fell into recession, HTEDC started the Hopi Market to help a handful of Hopi artists with a temporary source of income, so they could provide for their families. 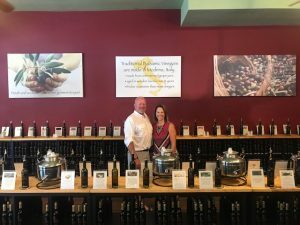 After the first year of the market, HTEDC realized this market was not only providing income to Hopi artists, but boosting the City of Flagstaff’s tourist economy by attracting visitors. HTEDC continued the market at the request of Hopi artists, providing a venue for them to sell their art as well as gain exposure of their work. In its first two years, the festival brought Hopi youth, Hopi elders, a Hopi cultural specialist, anthropologist, and archaeologist together to learn from one another about Hopi culture, tradition, history, and most importantly, roles and responsibilities associated with Hopi youth via Northern Arizona University’s Footprints of our Ancestors Program. 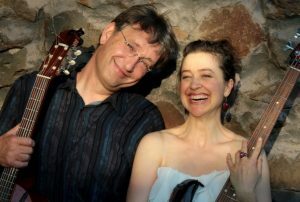 In 2012, it provided educational supplies using festival-generated funds to Hopi Elementary, Keams Canyon Elementary, First Mesa Elementary, Second Mesa Elementary, Hotevilla Bacavi Elementary, Moencopi Elementary School, and Alpine Leadership Academy at Mount Elden Middle School in Flagstaff. As years went by, numerous comments from businesses and community members about the event’s educational value inspired HTEDC to bring in demonstrators (such as potters and doll makers, to show how festival art work is created) to the market. In 2013, an expansive HTEDC vision turned the market into a festival welcoming all kinds of artists, from an array of tribes within Arizona and New Mexico. The festival’s name changed to the Hopi All Native Arts and Cultural Festival and grew into the festival it is today. The City of Flagstaff Council unanimously approved a request for street closure of Aspen Avenue between San Francisco and Leroux Streets. When the festival started, the HTEDC Board donated funding (that remaining after expenses) to Flagstaff community members, as well as to our Hopi people. The initial focus of the HTEDC Board was to help youth and elders to help in providing a better way of life, through education of who we are as a people – promoting health, safety and teachings of self-respect that focus on what they deal with daily on the Hopi Reservation. Examples of this were providing supplies for children brought into Child Protective Services on Hopi/Flagstaff (2013) and supporting Hopi domestic violence prevention efforts via Northland Help Center and Hope Cottage Flagstaff (2014). 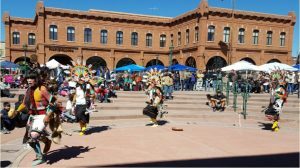 In 2015, a new HTEDC Board deemed the festival should only be open solely to Hopi artists, bringing about another name change, the Hopi Arts and Cultural Festival. Synonymous with this change, funds raised were strictly allocated to supporting educational efforts on Hopi. 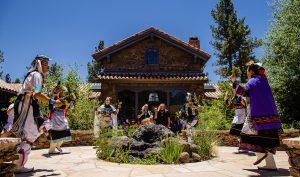 Since then, festival donations have supported the Hopi Substance Abuse Program (2015); Hopi education through Hopitutuqaiki (2016), wherein Hopi teachings were provided by elders via a traditional summer program; and supported Hopi Natwani for Youth Program (2017), through which dedicated individuals preserve Hopi farming traditions by strengthening the local Hopi food system and developing innovative sustainable strategies to promote wellness. The mission of the HTEDC Arts and Education Association is to help support youth education on the Hopi Reservation through a variety of events. Additionally, we strive to help educate the public to Hopi culture and encourage the preservation of Hopi artistic skills and Hopi culture among the Hopi people. Located in the heart of downtown, we are a group of artists dedicated to supporting and sharing local Flagstaff art. We bring cultura into the outdoor narrative and connect Latino communities and leadership with nature and outdoor experiences. We connect familias and youth with nature, engage and inspire Latino leadership, empower communities to explore and share their stories in defining the Latino Outdoors identity. 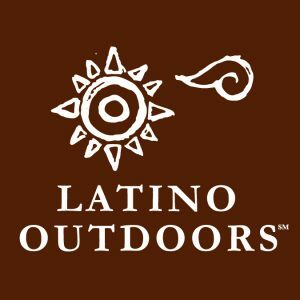 Latino Outdoors is a unique Latino-led organization. We are working to create a national community of leaders in conservation and outdoor education. As part of this work, we are focused on expanding and amplifying the Latino experience in the outdoors; providing greater opportunities for leadership, mentorship, professional opportunities and serving as a platform for sharing cultural connections and narratives that are often overlooked by the traditional outdoor movement. It is a space for the community to be present, share their voices, and showcase how conservation roots have been ingrained in Latino cultura for generations. The League of Women Voters is a peoples’ organization formed in 1920 from the movement that secured the right to vote for women. The centerpiece of The League’s efforts has always been, and still is, to improve our government and expand participation of all Americans in civic activity, so that they may actively participate in the decisions that impact their lives. Don’t be fooled by the small stature of this museum – it houses an astounding collection of exhibits focusing on the area’s anthropology, biology, geology and art. Visitors will find artifacts and exhibits focusing on regional Native American tribes, outdoor exhibits of local plants and wildlife, and even a life-size skeletal model of Dilophosaurus, a dinosaur that once roamed northern Arizona. Permanent exhibits include: Geology Gallery – Features geologic models, fossils and mineral specimens. The exhibits in this area introduce you to the many changes the Colorado Plateau has undergone through millions of years of geologic and volcanic activity. This gallery houses the life-size skeletal model of Dilophosaurus, a carnivorous dinosaur found in northern Arizona. Lockett Fine Arts Gallery – Guests can find exemplary fine arts of the region in this gallery. The Lockett and the Chase Gallery also highlight some of the Museum’s own outstanding collection of easel art and sculpture. Ethnology Gallery – The Museum’s award-winning permanent anthropology exhibit, Native Peoples of the Colorado Plateau, documents 12,000 years of occupation in the region. The Ethnology Gallery enlightens visitors about the daily lives of tribes today, many of whom balance traditional lifestyles with jobs and activities outside their reservations. Babbitt Gallery – An intimate gallery complete with a reading area and fireplace. This exhibit features 151 prehistoric and contemporary ceramic vessels from both the Babbitt Collection and Museum of Northern Arizona’s general collections. Biology – The Old Courtyard features a Life Zone Exhibit, where visitors are introduced to the extraordinary diversity of the Colorado plateau climate. During the spring, summer and fall, outdoor exploration opportunities are available on the museum campus. Visitors can stroll along the nature trail and visit the amphibian pond to see local plants and wildlife. Written nature trail guidebooks are available at the Admissions Desk. The mission of Native Americans for Community Action Inc. is to provide preventive wellness strategies, empower, and advocate for Native people and others in need to create healthy communities based on harmony, respect, and indigenous values. Northern Arizona Audubon Society (NAAS) is the local chapter of the National Audubon Society, with membership in Sedona, Flagstaff, and surrounding communities. The mission of NAAS is to promote the understanding and appreciation of birds and other wildlife and the conservation and restoration of their natural habitats. Members are active in birding, conservation, and education. Monthly meetings occur from September to May and are open to the public, with guest speakers. NAAS offers field trips for the public that are led by members as volunteers. NAAS has a network of four bird sanctuaries that emphasize habitat conservation and environmental education. “Reliable Web Designs” by Flagstaff Central is just what the name says, you can rely on our services and the sites that we design. Our goal is to make it easy for your business or organization to become a part of the ever expanding internet. We strive to make our services reliable, efficient, professional, and extremely creative. We do our very best to provide custom services to make it easy for you, and we make sure not to techno-babble you along the way. Our web designers will work with you on every step of the process to make things as easy as possible for you to get exactly what you want and need! And, most of all, we will be there in the future to help you continue to grow and expand your web presence! We specialize in WordPress Website Design and Maintenance, Domain Registration, Search Engine Optimization, Social Media, and a wide range of Internet Marketing services. We have been providing these services for the past 19 years. We are the Flagstaff Web Design firm that you want to work with! Southside Community Association is a 501C.3 organization resident driven organization. 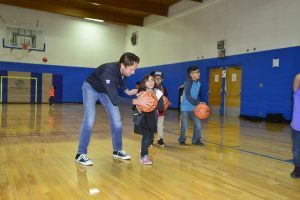 The organization operates the Historic Murdoch Community Center and offers a variety of social, cultural and community programs designed to empower residents and build community. Who We Are. Stuck Community Acupuncture, Inc is Federal 501c3 Nonprofit Organization. What that means is that no one person owns the clinic, the clinic is owned and supported by the community and overseen by a board of directors. We decided to become a nonprofit to separate the issue of money from healthcare. We believe acupuncture should be available to everyone as a routine health care option. For this reason, we practice community-supported acupuncture, a communal style of treatment with a sliding scale of payment affordable to most every income. Our Mission and Vision. Stuck Community Acupuncture is committed to providing effective and affordable acupuncture to the residents of Northern Arizona and to educating the public on the use of acupuncture and its related healing modalities as accessible healthcare options. An Art Gallery and Studio located in the heart of historic downtown, Flagstaff. 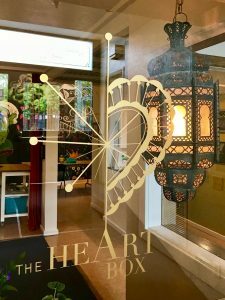 This warm and intimate gallery, owned and operated by local Flagstaff artist, Jill Sans, focuses on creating conversations and coming together through the sharing of art. In the gallery collectors can view her collection, other local artists and a private collection from around the world. As a curator of unique finds working with collectors to find something special is her specialty. Each month during First Friday the space opens up to visitors to showcase the large Exhibition wall featuring a different artist each month keeping the space fresh. Monthly classes, live events and community supported art projects bring the community together in this unique space.